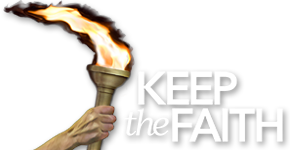 If you would like to make a secure donation to Keep the Faith, just click the PalPal donate button and follow the instructions. There will be a “comments” box where you can specify the type of gift and, if you like, how you would like the donation used within the ministry. Thank you for your support. It is greatly appreciated. You can easily create your own PayPal account by following the online directions; then you can use PayPal as often as you like. Once set up, it is very simple to use. Alternatively, you can simply use any major credit card to make your gift. The credit card will be processed through PayPal’s website, but you do not need to create a PayPal account. You can make an automatic monthly gift using your credit card. You can call or write us with your Visa or MasterCard and we will charge your account according to your instructions. You can also make a credit card gift through our PayPal account. You can also authorize PayPal to charge your account monthly. Just step through the process and answer the simple questions. You can also send us notification in the mail asking us to charge your credit card monthly using the address below.